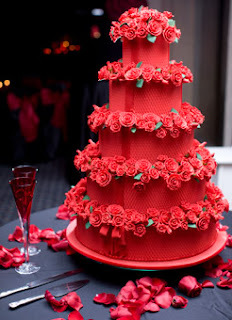 For a passionate, dramatic and eye catching wedding cake you cannot out do a flaming red wedding cake! 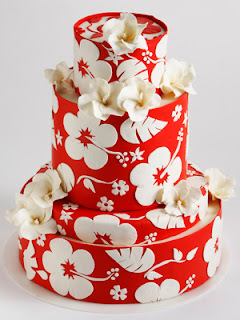 Check out these absolutely amazing bright red wedding cakes from Cakework. A fab three tier round wedding cake made with red icing and covered in hibiscus sugar flowers. 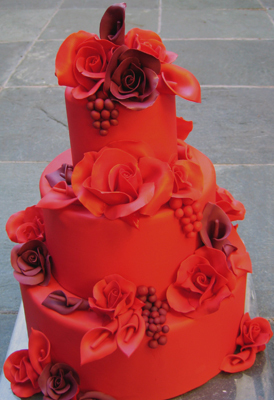 Bright red wedding cake set over three tiers with red and burgundy roses, calla lilies and grapes. 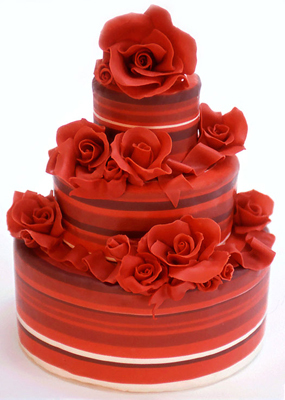 Three round striped tiers in red monochrome with many red sugar roses. 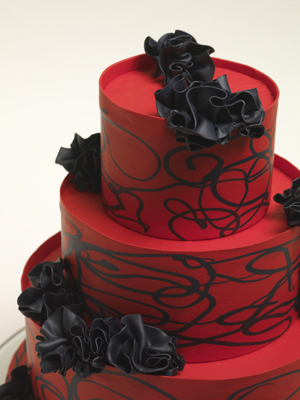 Black and red wedding cake with swirls. 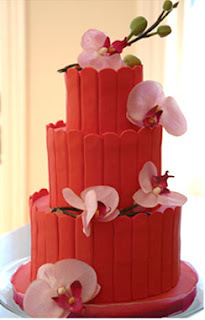 From I Dream of Cake comes this wonderful red wedding cake decorated with pink orchids. 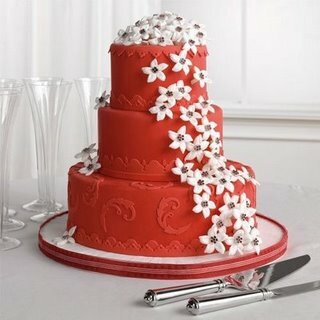 Another beautiful red wedding cake with tiny white flowers. 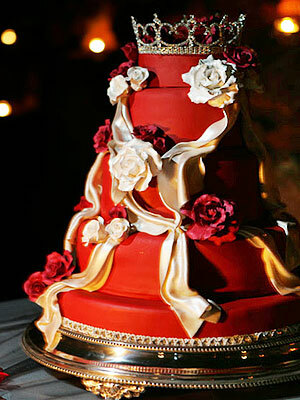 A bright and vivid red wedding cake with a royal feel decorated with red and white roses and a crown to top it off. Large bold red wedding cake with sugar roses between tiers. 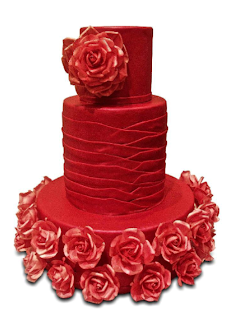 Pure red wedding cake with roses and textured tier. 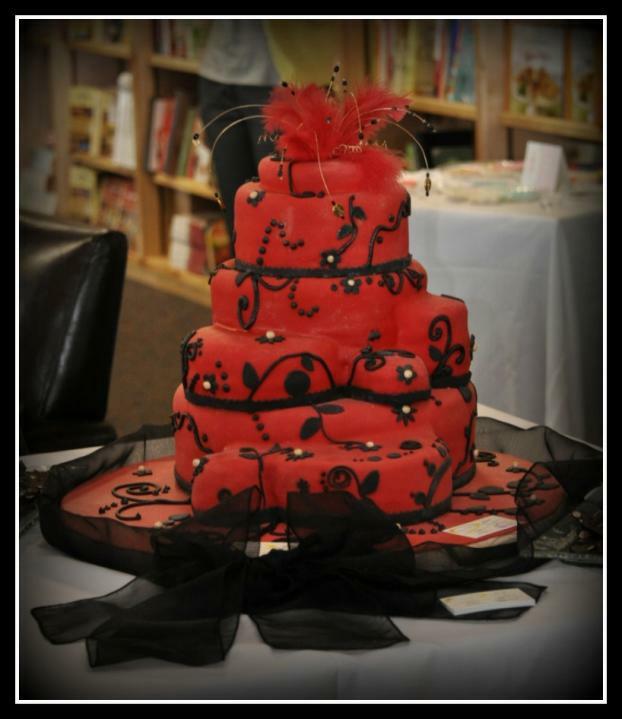 Stunning red and black wedding cake that is all Diva and Hollywood, I really love this cake!